Thailand is a great place to dive. It is rated amongst the top 10 diving destinations in the world. The water temperature averages around 28°C / 82°F all year round, making scuba diving in Thailand amazing no matter when in the year you come. 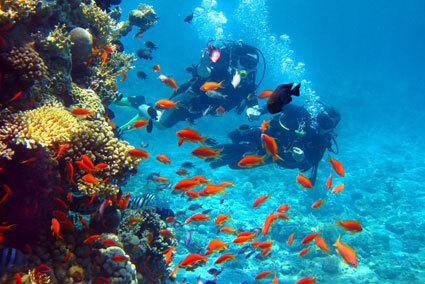 Thailand has an impressive variety of dive sites, the marine life is truly outstanding. There are dive sites for all levels of divers and to suit all tastes from wreck dives, coral reef dives, wall dives and many more.